Beside the opera, symphonic and chamber music programmation, the Opera Orchestra offers each year a large variety range of events. So far in the season 2018-19, the “Inside the orchestra” concert (where the audience is sited right next to the musicians), the “Haunted opera” Escape Game, the student concert (free for any student), the Star Wars symphonic, the Charlie Chaplin cine-concert… All these events occurred in crowded halls. 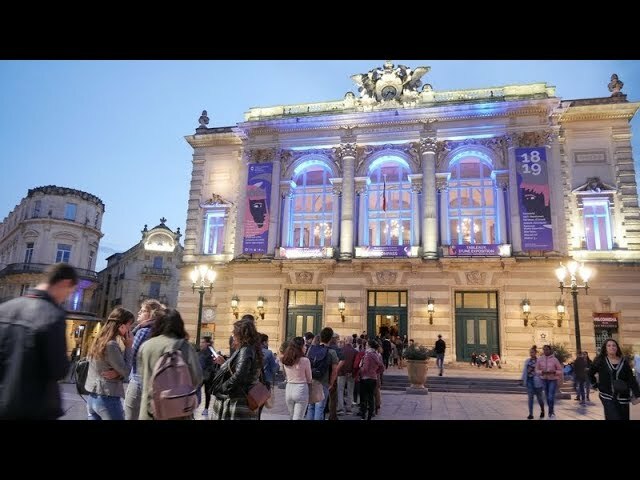 Montpellier Opera Orchestra’s daily presence on social medias allows around 18 000 followers to see the backstage of the productions with multimedia content. We consider new technologies as a notable support for raising awareness of lyrical and symphonic directories and tend to attract new audiences with many innovative experiments such as workshop in classrooms with educational applications, augmented reality visits in the opera, video games creative sessions around opera productions and digital hackathons. In February 2019, we will offer our audience the possibility to express themselves in our digital guestbook, the first ever to be placed in an opera. These new uses are also spreading in-house since our stage managers are now equipped with touch pads to read digital music scores. The opera choir will follow very soon. With its residency program, the Opera Orchestra support each year several emerging artists such as young conductors, stage directors, electro-acoustic composers or baroque ensembles. Each artist could be resident for one, two or three years. Each year, the Opera Orchestra offers to 200 charitable associations beneficiaries tickets to one of its production. We also have a longterm partnership with “Culture and Sport Solidaire” association to who we offer 10 tickets for their beneficiaries.